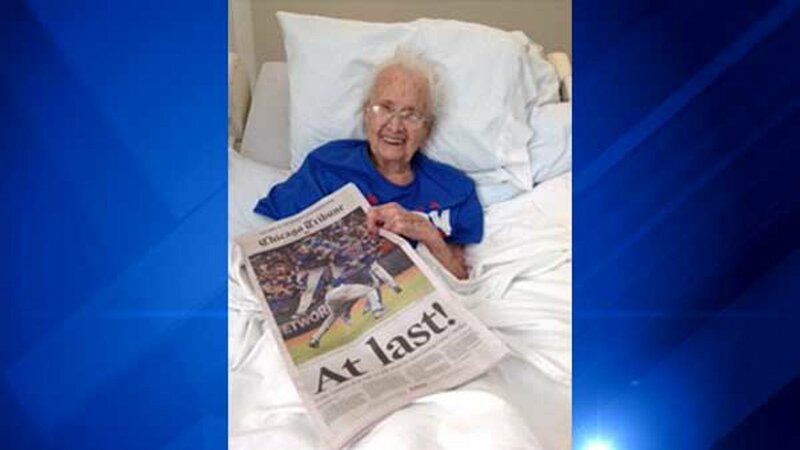 NORTHBROOK, Ill. -- The son of a 108-year-old Chicago Cubs fan said his mother died a happy woman this week. 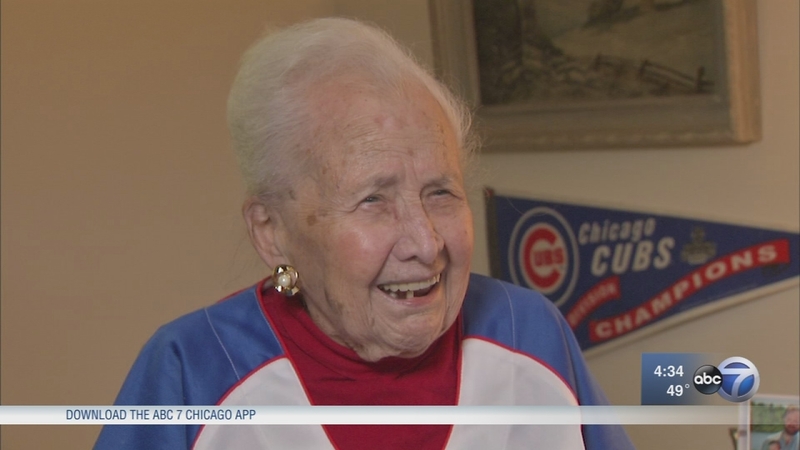 ABC7 Eyewitness News first introduced viewers to Mabel Ball during the Cubs' World Series run. Two months before the Cubs won the World Series in 1908, Mabel Ball was born. The lifelong Cubs fan has waited and lived long enough to hopefully see her beloved Cubs win again. She was born the same year the Cubs had last won the World Series - in 1908 - and watched the team her entire life. Her 75-year-old son, Rich, told the Chicago Tribune she passed away this week at a nursing home in north suburban Northbrook. He said she waited and waited for her team to win, and after they did, she could rest easy.